Texts on Pictures lets you easily add beautiful or cool texts, captions, and stickers to your photo. And share it via Instagram, Facebook, Twitter etc, in one touch. Make your photo stands out and better expressed with stylish text fonts and stickers. * The most popular pixel fonts! * Easily add words and captions to your photo or picture* 63+ hand picked text fonts with editable colors. 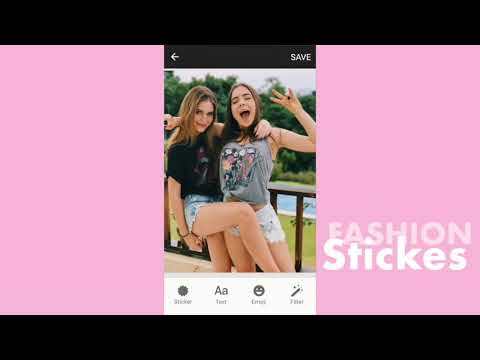 * 60+ finely selected stickers with editable colors* Slider color and fonts picker lets you preview the best texts and sticker effects * Scale up/down and rotate texts/stickers * Share your artwork conveniently via Instagram, Facebook,Twitter and more[Add Texts] Select photo or picture and add words you want to say on it. Text fonts, color, size, is changeable. Rotate it with any angle. [Add Stickers] There are finely selected stickers for you to add on photo. You can choose artful words sticker or shape stickers like heart, star. After you fill the stickers with different colors, your photo will become different.Follow our Instagram account: Texts on Pictures. Get inspired by the artworks of others on Instagram.